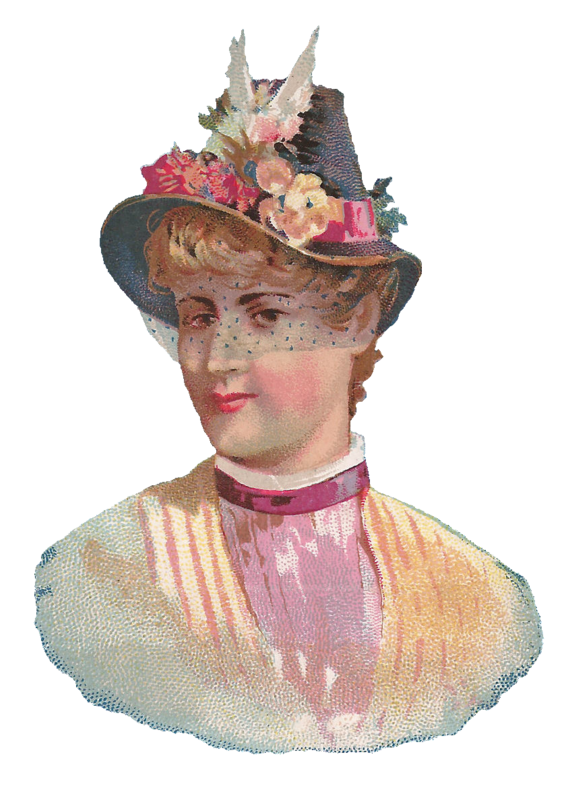 I've given you two versions, each, of the digital woman clip art posted today. 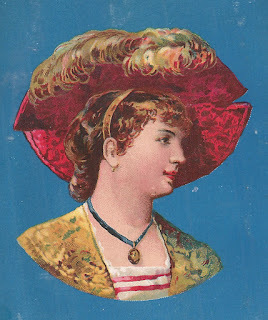 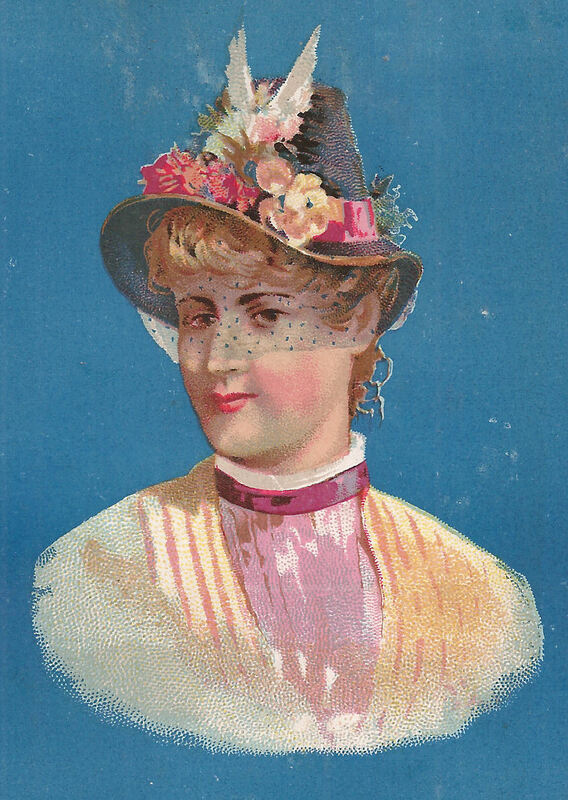 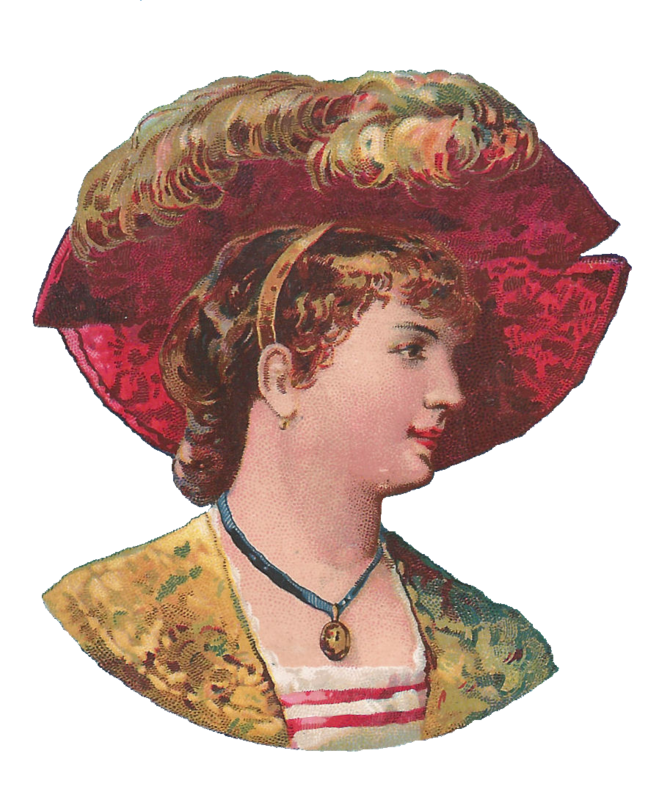 The first version of each digital antique hat fashion clip art has the original, blue backgrounds. 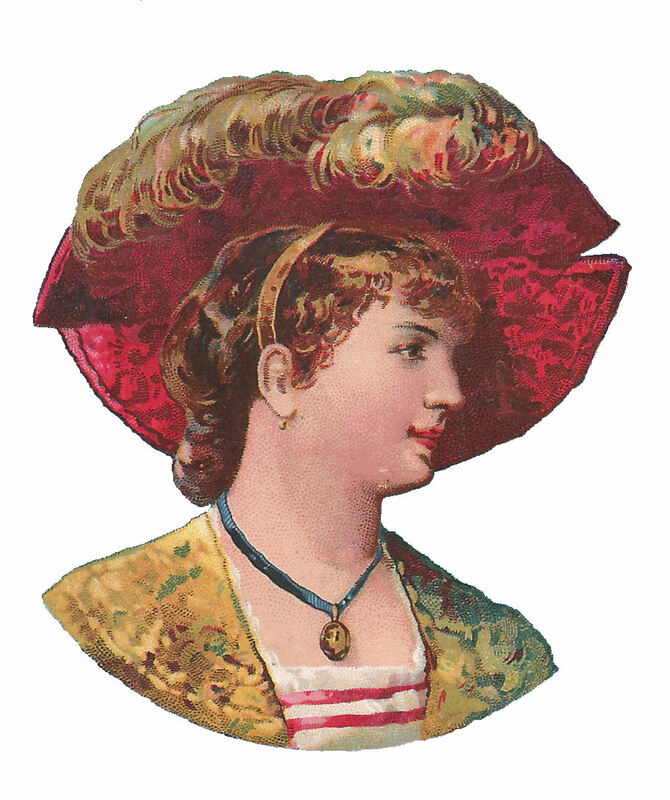 I created these digital antique women images from Victorian paper scraps. 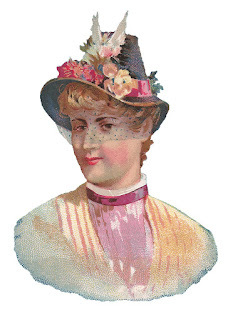 Then, I've also given you the pretty digital women clip art without the blue backgrounds for versatility in creating many digital and paper projects.